Sanjaya said, “Listen, O king, with attention, and having listened, letit go to thy heart. Nothing (in this) is the result of incantation,nothing the result of illusion of any king. Nor have the sons of Panducreated any new terrors. They are endued with might; and they arefighting by fair means in this battle. Desirous of high fame, the sons ofPritha always do every act, including even the support of their lives,agreeably to the way of morality. Endued with every kind of prosperity,and possessed of great strength, they never desist from battle, keepingtheir eyes on righteousness. And victory is there where righteousness is.It is for this, O king, that the sons of Pritha are unslayable in battleand always victorious. Thy sons are of wicked souls and are addicted tosinfulness. They are cruel and wedded to mean acts. It is for this thatthey are being weakened in battle. Thy sons, O king, like despicable men,did many cruel and deceitful acts to the sons of Pandu. Disregarding,however, all those offences of thy sons, the sons of Pandu alwaysconcealed those acts, O elder brother of Pandu. Thy sons also, O king, onnumerous occasions humiliated the Pandavas. Let them now reap theterrible fruit, like poison, of that persistent course ofsinfulness. That fruit should be enjoyed by thee also, O king, withthy sons and kinsmen, since thou, O king, could not be awakened eventhough counselled by thy well-wishers. Repeatedly forbidden by Vidura, byBhishma, by the high-souled Drona, and by myself also thou didst notunderstand, rejecting our words intended for thy good and worthy of thyacceptance, like a sick man rejecting the medicine prescribed. Acceptingthe views of thy sons thou hadst regarded the Pandavas as alreadyvanquished. Listen again, O king, to what thou hast asked me, viz., thetrue cause, O chief of the Bharatas, of the victory of the Pandavas. Iwill tell thee whit I have heard, O chastiser of foes. Duryodhana hadasked the grandsire this very question. 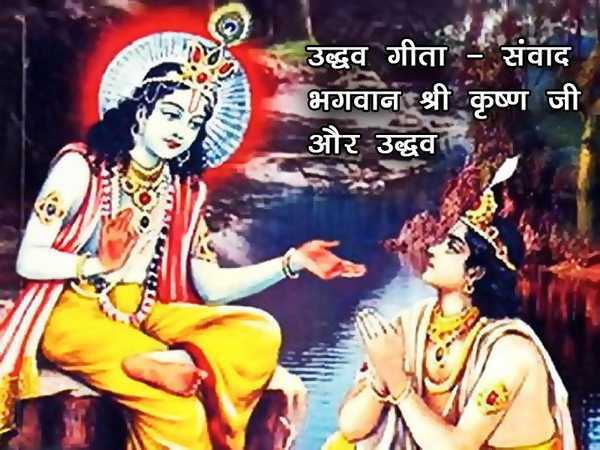 Beholding his brothers, allmighty car-warriors, vanquished in battle, thy son Duryodhana, O Kaurava,with heart confounded with grief, repairing with humility during thenight to the grandsire possessed of great wisdom, asked him thisquestion. Listen to me, O monarch, about it all.